It's not only a Feature Phone but also a Bluetooth Phone!!! By connecting bluetooth with your smartphone multi-tasking solutions -Access your calls, view call logs, read, delete, send SMS, and even control the songs playing on your smart phone. 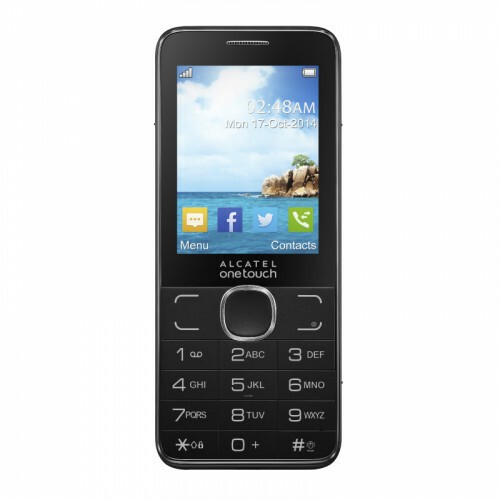 Tags: Alcatel Onetouch 20.07D, Premium Large 2.4” display, Dual SIM, 750mAh battery, Bluetooth Dialer-Access your calls, view call logs, read, delete, send SMS, and even control the songs playing on your smart phone.